A great traditional recipe for popovers. Great with roast beef or prime rib! 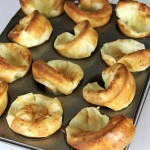 Are they popovers or Yorkshire puddings? What exactly is the difference anyway? Well, let me tell you! 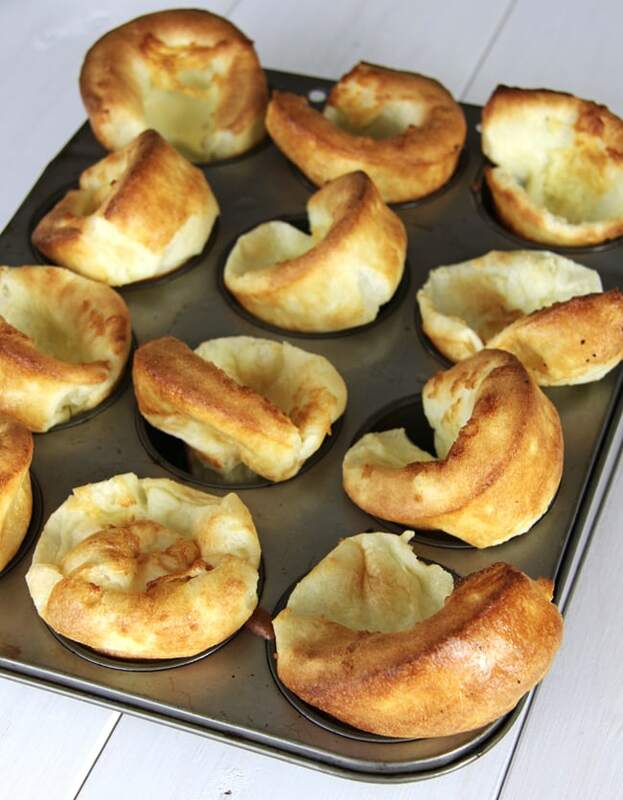 Typically popovers are cooked using butter, and Yorkshire puddings are cooked using beef drippings. I grew up calling them popovers, and I loved it when my mom would make them…they were such a treat because we didn’t have them very often. Popovers are so scrumptious served with a pot roast and gravy, a crockpot pot roast, Guinness braised beef or prime rib dinner. But I love them best right out of the oven with a big o’ dollop of butter in their hollow centres. My mouth is watering. Pure deliciousness, pure indulgence. I could eat the whole batch. Yes. Please. Prepare your baking dish – I like to use a muffin tin. I just give it a light spray with cooking oil (or Pam) and dust with flour. This allows the batter to climb so they are nice and puffy! In another bowl, whisk together the eggs and milk. Then whisk in the butter. Pour the wet ingredients into the dry ingredients, and mix until combined (smooth with a few small lumps). Be careful not to overmix. 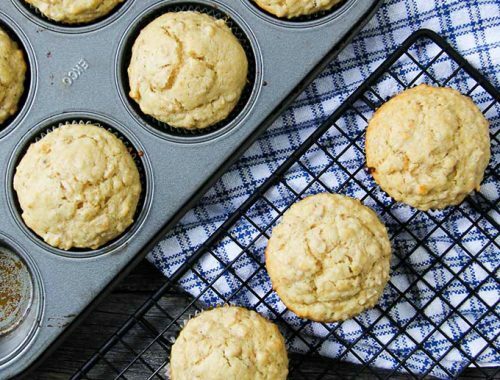 Fill your muffin cups about 2/3 to 3/4 cups full with batter. I find that this batter makes 6-8 good sized popovers. Just remember that if you aren’t filling the whole muffin tin, to fill the empty muffin cups 1/2 full with water. Bake at 450 degrees for 15 minutes, then at this time, reduce the heat to 350 degrees and bake for 20 more minutes. Don’t be tempted to open your oven during the baking process! This will make them deflate! 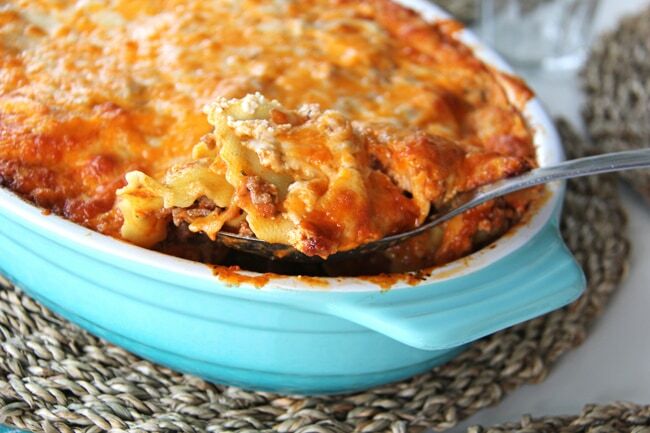 These are so fantastic served with pot roast and gravy, a crockpot pot roast, Guinness braised beef or prime rib! Yum! Or you can eat them plain with a dollop of butter in their centre (like in the picture below)! These are a hit with the kids too! I mean white flour and butter?! Um yum. I want the one with the butter! I call them Yorkshire Puddings, but then I would as I am a Yorkshire Lass!from England, and gone are the days using beef dripping, too unhealthy, vegetable oil instead nowadays, there is nothing like Yorkshire puds and roast beef, with Bisto gravy, perfection…. Oh man!! I am a true carbaholic. YUM! That blurry little finger is just hilarious! I wouldn’t be able to resist either, they look soooo yummy. Love the prowling fingers! 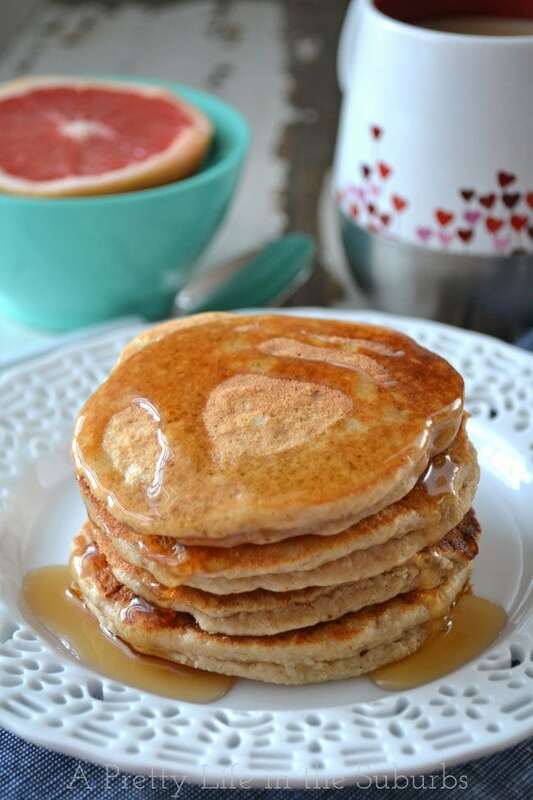 🙂 I find that either the kids or my belly is lurking in all my pictures lately, haha 🙂 These look delish! Ohhh! yummy…can’t wait to whip up a batch! Since I was little we always new them as Yorkshire Puddings but my mom makes them similar to the pop over recipe you posted! Regardless of there name, they have to be one of the best sides to go with roast beef! I love them, and if I could justify them all the time, I would! I think ti call these popovers you need to put beef broth in the muffin tin in a hot pan before the batter goes in. These look like good dinner rolls though.